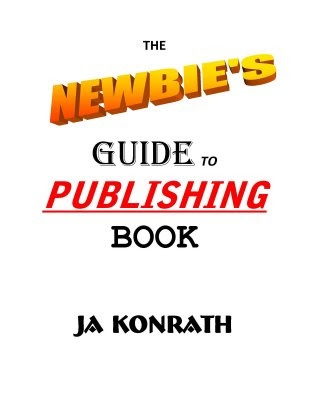 The Newbie's Guide To Publishing Book has been grabbed over 2000 times in the last two weeks. But you couldn't tell by looking at that blog entry, which (at the time of this writing) only has 18 comments. While feedback is an indicator that people are tuning in, it isn't a precise one. Yet, as writers, we crave feedback on not only our stories, but on our blogs and MySpace and websites. I'll assume, because you're reading my blog, that you're a writer, and that you'd welcome more feedback. Maybe you want to get comments on your blog. Maybe you want fan mail. Maybe you simply want to know that people are out there, even if they don't even respond. First issue first, how can you tell people are tuning in? For download tracking, I use http://www.bfnsoftware.com/, which is free. It requires a bit of HTML knowledge to set up, but once it's up and running you can leave it alone and let it do its thing. For website and blog hits, I use http://www.statcounter.com/, also free. StatCounter is a great service that not only lets you track hits, both repeat and unique, but also tells you how long the visitor stayed, where they came from, what keywords they used to find you, what browser they viewed you on, and what country they're from, among other things. For my emailing list, I use http://www.ymlp.com/, which is $160 a year. This allows people to sign up for or remove themselves from my newsletter list, and I can send out 9000 emails just by pressing a button. I've played with other bulk email senders, and found this one to be the best. If people aren't hitting your site, aren't signing up for your newsletter, I've written extensively on how to drive traffic. Remember to offer free entertainment and information, make sure you have a lot of links going in and coming out, that your metatags are specific, and that you have your URL on your email signature, business cards, and on everything you publish. But what if you want actual human interaction rather than just a hit counter? What if you want email and comments and feedback? Counters let you know people are tuning in, but actual responses are so much more encouraging. I'm still not 100% sure why certain things get big responses and others don't. Some of my blog entries have over a hundred comments. Some, under a dozen. I started a second blog over a year ago called The Anonymous Publishing Vent Club, which allowed people in this business to let out steam and point fingers without naming names. I expected it to get a lot of traffic. It did, for a while, but it didn't get any contributors. With no one posting, traffic died. Contests. I held writing contests for a few years, until it became too hard to keep up. But it did generate traffic, spawn links, get me mentioned by others, and get me a lot of email. If you're holding a contest, make sure it is for something people actually want. A cash prize works best. Giveaways. This works even better than contests. Instead of having people jump through hoops to get a freebie, just give it to them. Between the contests and the freebies, I spend over a thousand dollars a year just in postage. Newsletters. I don't abuse my newsletter list, only sending out one or two a year. Some writers send them out monthly. Some even weekly. I don't believe micro-updates are necessary, and more intrusive than welcome. What do you think? Bulletins. For instant feedback, nothing beats a MySpace bulletin. Of course, only a small percentage of your friends will respond, so if you want a lot of responses you need a lot of friends. Polls and Quizzes. I've posted a few quizzes on the Newbie's Blog, and just put a poll on my website because I was getting so many emails about the ending of my new Jack Daniels novel, Fuzzy Navel. People like to do more online than just read, and letting them interact and interface seems to get results. Asking Questions. Seems obvious, but how often do you ask for readers to respond? If you want people to contact you, ask them to. Encourage this by soliciting their feedback with thoughtful questions, such as "How Many Newsletters Should an Author Send?" Seriously, I want your response on that. One or two a year? Three to eight a year? Once a month? Once a week? Being Controversial. The blog post that receive the most comments are the ones where people disagree. I love it when people think I'm wrong. Conflict is interesting, and as long as it doesn't devolve into a flame war, differing opinions makes for great reading. Nothing heats up the blogosphere like taking sides on a hot issue. Again, for any of these to work, you have to make sure that you're providing a good reason for people to visit you in the first place. So many agents and publishers tell authors to get a blog, and so many other tell them not to bother because they don't help. Both are right and wrong. Online promotion will help, but only if you understand how it works, can set attainable goals, and are able to measure your effectiveness. Your protag may be named Bob McTestes, and he was born in Sunndydale, Ohio in 1967, but you need to work that into the body of the story and not make it the first sentence. Better yet, don't work it in anywhere. Also, for the love of all that is good, use 12 point Arial, Courier, or Times New Roman, double space the text, one inch margins, and indent each paragraph but don't add extra spaces in between them. Call me crazy, but I believe that when a writer creates a character, they're allowed to decide what that character says and does. But, strangely enough, when a writer reaches a certain level of success, they have less control rather than more. A few weeks ago I was at a local restaurant-slash-arcade watching some people play the new Rambo video game, which involved shooting large plastic assault weapons at a giant screen. When David Morrell created the character more than thirty years ago, he probably couldn't have conceived of it some day being a coin-operated attraction. But when David sold the rights to that novel, and that character, others were able to decide what Rambo did. Rights, however, don't matter much to fans. I've noticed a growing trend on Amazon.com where fans somehow feel justified in saying authors aren't being true to the characters they've created. I'm guilty of this myself. My very first (and only negative) Amazon review was of Hannibal written by Thomas Harris. I was hugely disappointed in how Harris had turned the ultimate evil serial killer into a hero who only kills rude people. Apparently I helped to spearhead a disturbing trend, because in recent years there have been thousands of fans heaping such criticism at Anne Rice, Patricia Cornwell, Janet Evanovich, Karin Slaughter, Lee Child, and many others, claiming these authors have disrespected their own protagonists. What a fascinating social phenomenon this is. It's one thing liking or disliking a book. But it is something else entirely for a reader to take ownership of a character, and to chastise the creator of that character for causing said character to do things the reader doesn't believe that character should do. Can you imagine painting a picture of a duck and then having other people tell you that it isn't a duck at all? Expectation plays a huge part in this. When we're entertained by things we've read, we expect more of the same. But when the writer does something that we don't agree with, then our expectations aren't met, and we're disappointed and perhaps even angry. Consider how odd this is. Characters are no longer confined to the page, or to the imagination of the writer. They exist in the minds of the readers. And if something on the page doesn't mesh with what is going on in the reader's head, the author is to blame. But the author really can't be untrue to a character they created. It's impossible. As the creator, the author can chose to do whatever they want with the character. There is no intrinsic right or wrong, true or untrue, fair or unfair. Yet readers can become attached to characters to the point where they take ownership of them, and then they decide for the writer what is allowed and what isn't. If they believe that the writer wasn't true to their own creation, the 1 star scathing reviews begin to accrue. Does this affect the writer? It has to, to some degree. All opinions are valid, even if you disagree with them. The artistic part of the writer can't help but be hurt by the negative comments, and the business part of the writer can't help but think that haters can't really be good for the bottom line. So does that mean, when you reach a certain level of success, creativity is more about placation than invention? I haven't reached a level where I get scads of emails from people who don't like what I've done with my characters. But I can foresee it happening. Books are like children, and once they're out in public the writer/parent has little control over what they do and how they effect others. Success means you will invariably disappoint a segment of your audience. Strangely, though, our expectations and opinions can change. 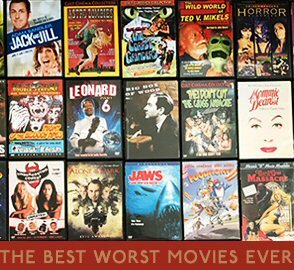 We've all seen movies that we disliked, then saw them again and liked them, and vice versa. Art needs an audience, and is only endowed with the attributes we ascribe to it. In other words, what you bring to the table may be more important than what's being served. So now I look back on my review of Hannibal and I think I was wrong. Not in disliking the book, but in blaming Harris for my disappointment. Hannibal Lector belongs to Thomas Harris, and only he can dictate what his character does. He saw his character differently than I did, and he's allowed to do that because he created him. I'm allowed to dislike the choices that Harris made, but I have to realize that biases and expectations aren't on the page; they're in my head. Because we're such an opinionated species, and because the Internet allows for the anonymity to say things we'd never say in public, we're quick to voice our disappointment in public forums. You're on this mailing list because you love books. I love them too. This email is my way of reaching out to readers, librarians, bookstore employees, and fellow authors, and giving you free stuff. If you want to be taken off this list you can opt out using the link at the bottom. If you've asked to be removed from this newsletter and haven't been, I apologize. If you've signed up for this newsletter and haven't received it, you probably aren't reading this, but I apologize anyway. My fifth Lt. Jacqueline "Jack" Daniels thriller novel, FUZZY NAVEL, will be released in hardcover and on audio CD and MP3 on July 8th. The first four novels in the series, WHISKEY SOUR, BLOODY MARY, RUSTY NAIL, and DIRTY MARTINI, are currently available in paperback, hardcover, and on audio. They'll make you laugh, and then scare your socks off. Please head to your favorite bookstore and buy eleven copies of each for yourself and everyone you know. I love book parties, especially those that take place in snazzy venues where the food and liquor are free and there are plenty of cool people to talk to. I'm not having one this year. However, on the launch date for Fuzzy Navel, July 8th, you're all invited to my CEREBRAL BOOK LAUNCH PARTY! Instead of a brick and mortar restaurant with an open bar, this party takes place entirely in my mind. There will be celebrities, big surprises, and everyone who attends will win $300 and a Toyota Prius. It's going on from 7pm-9pm, in my head. Please RSVP via telepathy. I hope to see you all there. Then, after the party, go to a real store and buy my book. I'll be visiting stores in Illinois, Wisconsin, Indiana, and Michigan. Keep an eye on www.JAKonrath.com for when and where. I love being reviewed, whether it's in a newspaper, a newsletter, a listserv, on a website, a blog, MySpace, a bulletin board, an online review site, a bookstore site, etc. People who wrote reviews of DIRTY MARTINI were thanked in the acknowledgements of FUZZY NAVEL. I'm doing the same thing for this book. Write a review of FUZZY NAVEL and put it someplace where people can read it, and you'll be thanked in the acknowledgments of CHERRY BOMB, coming out next year. Simple as that. Email me a link to your review (if you've already reviewed it, please send me the link again) and you'll be entered in a contest. Ten lucky winners, drawn at random, will receive free signed stuff. You'll have a choice of any of my previous or future books or anthologies. One very lucky grand prize winner will get dinner. Yes, I'll actually buy you dinner. Drinks too. The only downside is that I'll be there with you. So if you want free books, or you want to have me all to yourself for a few hours while I ply you with fine food and drink, then please review Fuzzy Navel. Oh, and each different place you post the review online counts as a separate contest entry. So if you write one review and post it on your blog, your MySpace page, your Facebook page, Goodreads.com, Shelfari.com, Booksnbytes.com, Amazon.com, BN.com, Borders.com, DorthyL.com, and Yahoo Groups, then that's 11 entries, and 11 chances to win. How badly do you want to eat with me? Haven't read any of my books yet? Now you can, for free. I have several full length novels and several dozen short stories available as free downloads on JAKonrath.com. Check them out, and keep an eye out for my new website design coming in July. Are we MySpace Best Friends Forever yet? Visit my page at www.MySpace.com/JAKonrath and join my 15,000 other BFFs, each of whom I know by name and stay in constant touch with because they are so very dear to me. I also have a Facebook page, and you can befriend me there as well. Though, in all honesty, the best way to befriend me is by seeing me at a writing conference and handing me a beer. Are you affiliated with a library, book club, writing group, university, book fair, conference, or convention and would love to have me come speak? Of course you would. And I would love to come. Email me with a request and we can discuss my outrageous fees and unreasonable demands. Harry McGlade, Jack's ex-partner, is the star of two novellas. The first, SUCKERS, is co-written with cult horror author Jeff Strand. Jeff's series character Andrew Mayhem (star of three hilariously gruesome books) teams up with Harry, and the jokes fly fast and furious. It's limited to 300 hardcover copies, and a really funny book. Get it before it's gone forever. Harry is also in LIKE A CHINESE TATTOO, an anthology edited by Bill Breedlove. This story, called THE NECRO FILE, is officially the silliest thing I've ever written. Both of these books are available at www.horror-mall.com. If you're a JA Konrath completist, a Harry McGlade fan, or just want to blow some money on stupid stuff, I encourage you to buy copies of each. But a warning: These aren't for the faint of heart. I had the pleasure of collaborating with F. Paul Wilson on a story in the upcoming anthology BLOOD LITE, edited by Kevin J. Anderson. Look for it at bookstores everywhere this October. DIRTY MARTINI was nominated for a Barry Award for best novel. I wrote a funny werewolf novella for the anthology WOLFSBANE AND MISTLETOE, edited by Charlaine Harris and Toni L.P. Kelner. It's being released in October. For those of you keeping tabs on what I eat for breakfast, this morning it was Frosted Mini Wheats. Yesterday, eggs and bacon. The day before, Mini Wheats. Tomorrow, I'm planning on Mini Wheats if any are left. If not, fried bologna. I've collaborated with author Henry Perez on a novella featuring Jack Daniels and his character Alex Chapa (the main character from his upcoming thriller KILLING RED). The story, written for charity, is slated to appear in the upcoming Echelon Press release MISSING, which will debut at Bouchercon in Baltimore. My blog, A NEWBIE'S GUIDE TO PUBLISHING (jakonrath.blogspot.com) was named one of the Top 101 Websites For Writers by Writer's Digest magazine. JAKonrath.com is being overhauled with a new look and easier navigation, hopefully by the end of July. It will also include a message board, since I know all of my fans want to be able to interact with each other. All three of you. Expect another email from me when the website relaunches. The biggest news of all came in the form of an email. Apparently a Nigerian prince has named me as an heir, and is going to deposit 16 million dollars into my bank account as soon as I send him the routing number. I plan on using the money to buy Nebraska, which I'll rename Joebraska and then have a rave party in the largest city, Joemaha. You're all invited. I've written a book under a pseudonym. It's called AFRAID, and I'm using the pen name Jack Kilborn. It will be available this year in Australia and Great Britain, and next year in the US. I tried my best to create the scariest novel of all time, and by early accounts I've succeeded. The website www.JackKilborn.com is coming soon. Nothing to update, because no one has bought the rights. But if you've got fifty bucks, or even a case of good beer, call me and we'll talk. Free stuff is cool. A few times a year I have a random drawing for free J.A. Konrath merchandise, and everyone on my mailing list is eligible. Five newsletter subscribers have been randomly picked to receive some cool gifts. Email me to get your swag. Thanks very much (your name here) for reading this far. Keep an eye on JAKonrath.com for updates and news. See you on the road!